Well kept home with many beautiful architectural features and recent updates in the heart of the University neighborhood. The 1st floor features a generous sized living room and a formal dining room with bay window overlooking backyard. The fully renovated kitchen features hardwood floors and all stainless steel appliances. Upstairs you will find four large bedrooms and an updated bathroom. A full attic and basement give you plenty of storage. All of the essentials have been taken care of, including a brand new standing seam metal roof, fully insulated attic, basement, and exterior walls, a high efficiency furnace and water heater and central A/C. Convenient location off Euclid, only 1 block from Westcott St. A great home with much character in the University neighborhood. 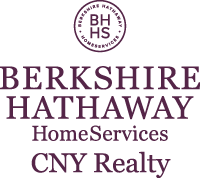 I am interested in 850 Maryland Avenue, Syracuse, NY 13210. Sign up for Inside AccessTM to view recent sales near 850 Maryland Avenue.